Evolutionary psychology employs a kind of reverse engineering to explain the evolved design of the mind, figuring out the adaptive problems our ancestors faced and then inferring the psychological adaptations that evolved to solve them. 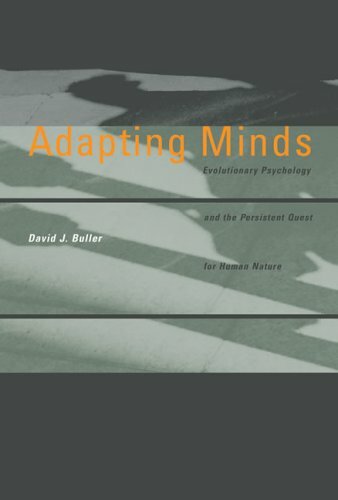 In the carefully argued central chapters of Adapting Minds, Buller scrutinizes several of evolutionary psychology's most highly publicized "discoveries," including "discriminative parental solicitude" (the idea that stepparents abuse their stepchildren at a higher rate than genetic parents abuse their biological children). Drawing on a wide range of empirical research, including his own large-scale study of child abuse, he shows that none is actually supported by the evidence. Buller argues that our minds are not adapted to the Pleistocene, but, like the immune system, are continually adapting, over both evolutionary time and individual lifetimes. We must move beyond the reigning orthodoxy of evolutionary psychology to reach an accurate understanding of how human psychology is influenced by evolution. When we do, Buller claims, we will abandon not only the quest for human nature but the very idea of human nature itself. "Our Modern Skulls House a Stone-Age Mind"
Psychological Differences and Our "Common Nature"
What Is "The Truth about Cinderella"?